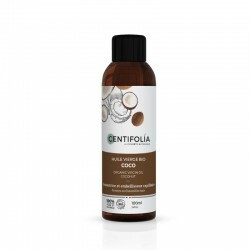 Rich in lauric acid, a saturated fatty acid, Coconut oil is used in cosmetics for its nourishing, protecting and softening properties. It is ideal for body care and leaves a light island fragrance on the skin. It is also an exceptional hair treatment, nourishing the hair fibre and adding shine to hair. The Coconut tree is a palm tree whose geographic origin remains rather vague. Since time immemorial, it has grown in various regions of the Pacific Ocean, Indian Ocean, Far East and even Africa. On account of its many uses, the palm tree is also called the "tree of life" in the tropics. For example, the wood can be used to make tool handles, coconut tree leaves can be used for roofing, and Coconut milk and flesh can be used in food and beverages. Lastly, Coconut oil obtained by pressing fresh coconuts is used for its multiple cosmetic properties.